Is there any easy way to render all roads and paths with an equal width in Mapnik? In the rendition below, all lines have the same line width, but since many of the bigger roads have many lanes or parallel roads that are (nearly) overlapping, they seem fatter. 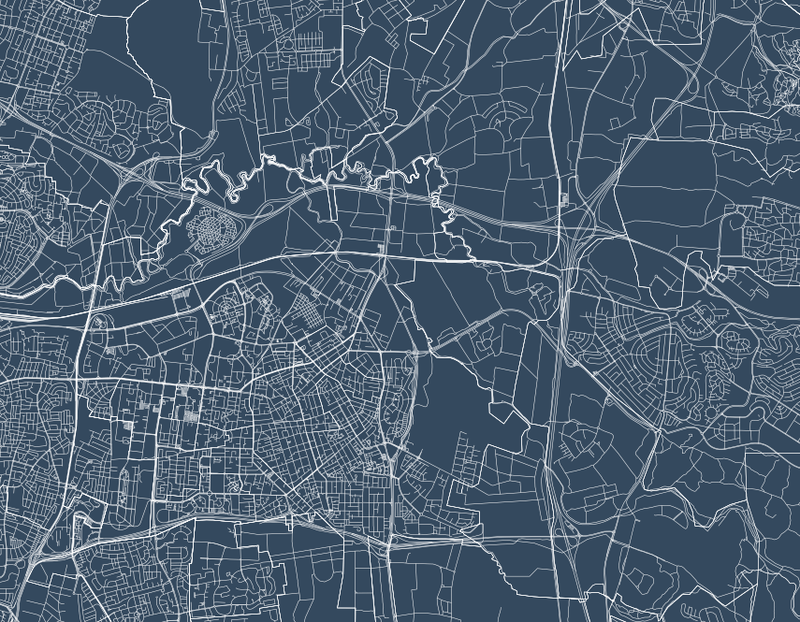 My source for Mapnik is a PostGIS database with OSM data. I didn't find this place until after I posted the question on Stack Exchange. Would you consider reopening the question if I close the one on Stack Exchange? This seems like a better forum for this question. @meriri2: okay, although there already is one answer now. Having two places where relevant answers can be for the same question is not good for the resource usage of all of us.